Happy Summer Solstice! It’s officially the longest day of the year folks. How one chooses to spend these precious minutes of extra sunlit time is up to the individual but, there’s a decent chance that of the myriad of activities and options available, many would be enhanced by the presence of some appropriately summery music. Well, it just so happens for the third time in a row, Jack Shaw has a finished release ready for lunch and love during the season of sun and fun. Released just a few hours ago at midnight UK time, Summers III (A&G Songs, 2017), is now out and ready to inspire thoughts of not just summer recreation, but of far off places and unexpected situations – an opening line not uncommon to any good, adventurous summer reading. Those just hearing of Shaw’s Summers release now, are likely wondering about the predecessors of Summers I and II. Indeed they exist and a review of the latter EP can be found here. This third installment in the series also follows the more recent release of “Aneni,” a collaborative single Shaw created with Norwegian producer, Autolaser just earlier this month. While “Aneni” is a singular piece of work between Shaw and Autolaser, some common stylistic threads from Shaw’s time with the Nordic creative carry over into the six track extended play by way of co-production on the finale track, “Put the Lights On,” for which a lyric video was also released today and can be viewed below. Running a swift twenty minutes in length, Summers III plays out much the opposite of its seasonal solstice frame. The six tracks don’t have so much of a seamless connection that one can’t sense the end and beginning of each – as can be common on some concept albums – but the overall feel of the music itself flows by just gently enough that, before long, the EP has moved from the delicate opening piano chords of “Mirrorpool” to off-beat plunks of the marimba in “Night of My Life.” That’s not to say that Summers III is all low-impact, fragile, and gossamer musical affairs (even though the waves of high-pitched chimes heard on the aforementioned second track and on its predecessor “Shine,” might make listeners think otherwise. Rhythmic variation in the form of shorter and more frequent notes, syncopated patterns, and assorted lengths layered across the instrumental parts of different songs, give Shaw’s latest project plenty enough of an impression of notable sonic tactility. This in turn, contrasts with the smooth and often rounded tone colors of the many synthesizer-generated lines on every track (as well as Shaw’s own voice), which are both bolstered even further with a generous application of reverb and delay. Beyond production and instrumental elements common to a Shaw record, with Summers III, one thing of new note is Shaw’s significant use of pitch correction on the first track. Now, Shaw being the exceptional natural vocalist that he is, the phrase pitch correction isn’t meant here for its literal description. Rather, think of Shaw’s singing in “Mirrorpool” as having enough applied manual adjustment to create an effect akin to that of early T-Pain (prior to his non-digitized, 2014 NPR Tiny Desk concert). The effect serves as a decorative and artistic statement as opposed to one needed for reasons of melodic misalignment. Lyrically and structurally, Summers III certainly prompts a plethora of visualization across all the songs; not to mention the true-to-life inspiration on which much of the vivid description is based. Shaw packs the EP with anecdotal references to occurrences from his many international travels – particularly to Norway and Germany (where Shaw is currently focused on promoting Summers III via a string of live shows). Just with the basic explanations for “Mirrorpool” and “Night of My Life” – the two songs being inspired by a glass like still pool seen during Shaw’s ascent up Pulpit Rock in Norway and, the evening Shaw lost his passport at the Samba Festival held in Bavaria, Germany, respectively – listeners are able to glean a sense of these notable experiences and the sensory engagement that accompanies them. There’s a concerted effort to deliver a musical interpretation of events, emotions, and philosophies currently inspiring Shaw’s foundations as a songwriter. The spoken audio clips heard on “Universe” and “Mirrorpool” (Makes you wonder what the world is coming to / All I can see if chaos and confusion, and panic / Not a world of words, but of things; things you cannot express), which both serve as track ending transitions, elicit a response to Shaw’s feelings on the state what’s around him in both the immediate now and the much bigger and long-term picture. Despite that idea being the most abstract and grandiose of concepts he tries to frame on Summers III, much like the excerpts handpicked and expounded upon by concept album veterans, Polaris Rose, Shaw nails relevancy (with an added factor of intrigue!) through this mixed medium application. Added to the usefulness of specific quotes, the collective use of instruments with stand out sound qualities, many kinds of sonic manipulations, and the tone shaping Shaw chose to employ, each help to better clearly depict the things Shaw saw, heard, and felt during his travels. Summers III is an exceptional vessel of direct and purposeful embodiment – the truest window to Shaw’s recent motivations – of both musical and purely human experiential proportions. Find it streaming on Spotify. 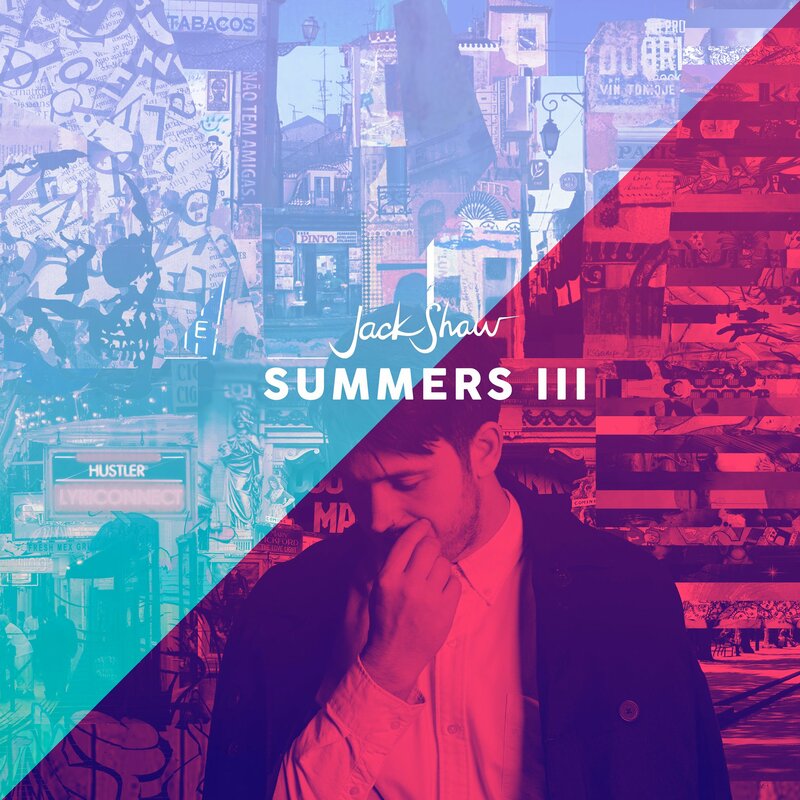 Into summer we go with Jack Shaw’s newest EP! You never fail to bring a bit of sunshine to my day with the comments you are kind enough to leave here.